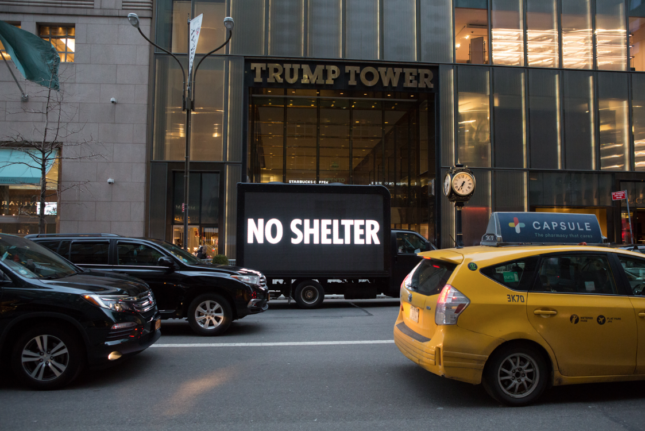 In honor of World AIDS Day, renowned conceptual artist Jenny Holzer will release a mobile exhibition that will shine a light on the history and current impact of the AIDS epidemic. This December 1, a fleet of five, pitch black trucks featuring LED signs will embark on a journey around the city, showcasing quotes by poets, artists, educators, activists, and people living with HIV and AIDS. The installation, #LightTheFight, is curated by Holzer in partnership with the NYC AIDS Memorial, a project she completed in 2016 that features a series of granite paving stones engraved with Walt Whitman’s 1855 poem Song of Myself. Studio AI designed a white, angular pavilion to house the memorial. 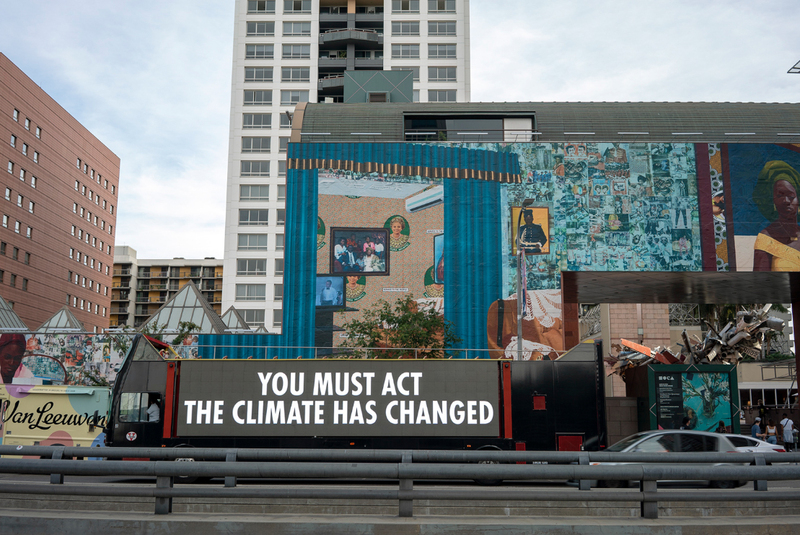 The roving billboard project, another text-based artwork by Holzer, signals the launch of the memorial’s Arts and Education Initiative which will bring immersive programming to the city. After an interactive ceremony and performance at the memorial site, the trucks will drive up and down Manhattan, animating the special words in black and white with an occasional burst of color to stress the messages on screen. Holzer told The New York Times that the texts will feature a variety of sentiments from tenderness to grief. Throughout the night, the trucks will make pit stops at historically significant locations and sites such as the LGBT Community Center, Times Square, Hudson River Piers near Christopher Street, and the Meatpacking District. At each location, signature condoms designed by Ms. Holzer will be distributed along with educational material on HIV, AIDS, and LGBT rights. #LightTheFight isn’t the first motor vehicle-based installation Holzer has created. IT IS GUNS debuted earlier this year in New York and Washington, D.C., in protest of gun violence. 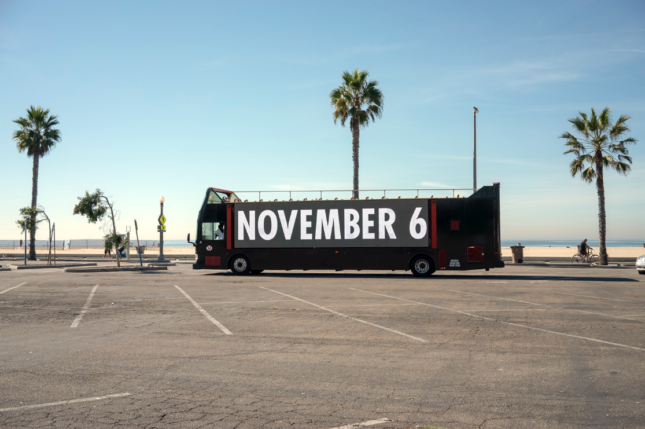 Leading up to the midterm elections this week, Holzer put together a series of tourist buses in Los Angeles, encouraging people to vote. Learn more about #LightTheFight here.